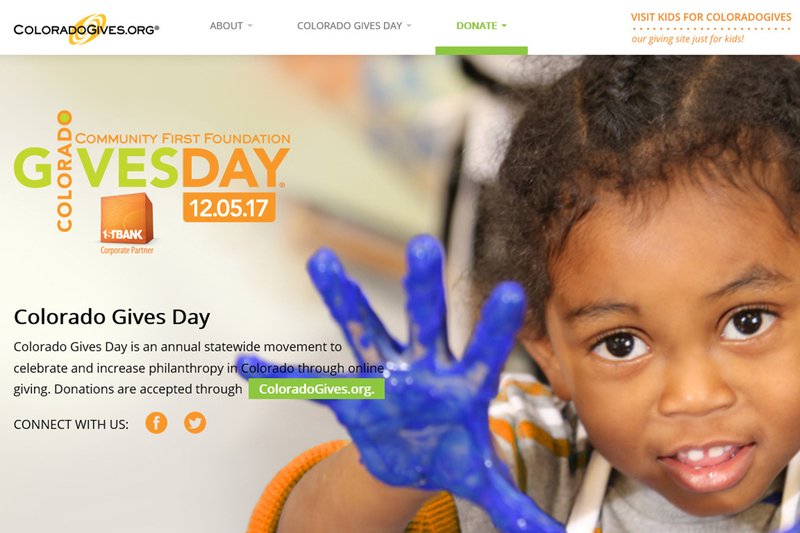 Colorado Gives Day remains the state’s largest day of giving. Generous donors gave $36,129,285 to 2,309 nonprofits in just 24 hours on Dec. 5. This is an increase over the $33.85 million donated on Colorado Gives Day 2016. The 24-hour statewide movement celebrates and increases philanthropy in Colorado through online giving. Presented by Community First Foundation and FirstBank, Colorado Gives Day is powered by ColoradoGives.org, a year-round, online giving website featuring more than 2,300 nonprofits. Colorado Gives Day is one of the most successful events of its kind in the nation. Since its inception in 2010, the event has raised more than $181 million for Colorado nonprofits. We are grateful for the generous donors who opened their hearts to give and for the nonprofits that inspired them,” said Marla J. Williams, president and CEO of Community First Foundation. “Together, they are the success story of Colorado Gives Day. Every December, we grow more astounded by the generosity and support Coloradans provide to deserving nonprofits on Colorado Gives Day,” said Jim Reuter, CEO of FirstBank. This year was no different. We’ve watched in awe as this annual statewide movement has grown from raising $8 million in its first year to more than $36.1 million in its eighth. We’re incredibly honored to be the corporate partner for one of the most impactful 24-hour giving initiatives this nation has ever seen. A portion of the $36.1 million raised came through KidsforColoradoGives.org, a new website designed specifically for young givers. We’re inspired to witness the next generation of Coloradans giving up their allowances and holiday presents to make their neighborhoods better places to live, work and play,” said Williams. If you’re looking to do something different this holiday season, you can donate to your favorite Colorado nonprofit on Colorado Gives Day. Last year, Colorado Nonprofit Association, the Colorado Attorney General's Office and the Colorado Secretary of State's Office created a new website, CheckTheCharity.com, to help people find reputable ones and avoid giving to false charities or to for-profit companies that purport to be raising money for charity. This year, 31 Weld County nonprofits are collaborating as "Weld Gives" to raise awareness about Colorado Gives Day and the important work that they do. These organizations count on the support of Weld residents, even during tough times, to provide valuable services and resources to our communities.